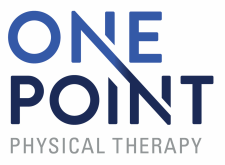 ​The Rehabilitation Aide will assist the Physical Therapists at OnePoint by performing requested administrative and clinical duties. They will greet patients as they arrive to the clinic and work alongside the clinicians during treatment. They will support the clinic by maintaining a clean and organized facility and ensure delivery of safe patient care and services and promote a safe environment. These duties will be conducted in compliance with state practice act requirements. ​Please click here for a full job description.